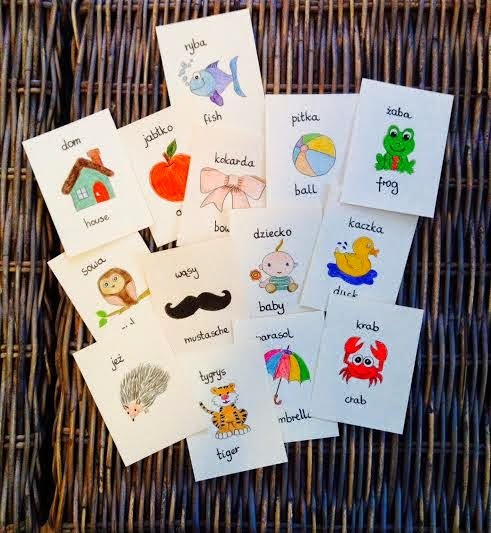 Today I will show you how to make those fun flash cards for your baby. 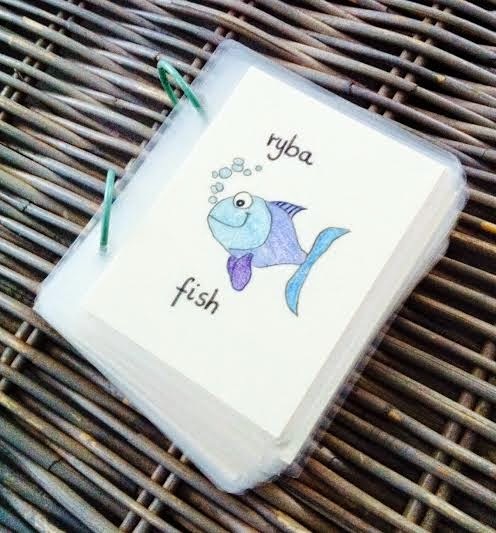 I always see my friend's babies play with cards like this and wanted them for my son too. 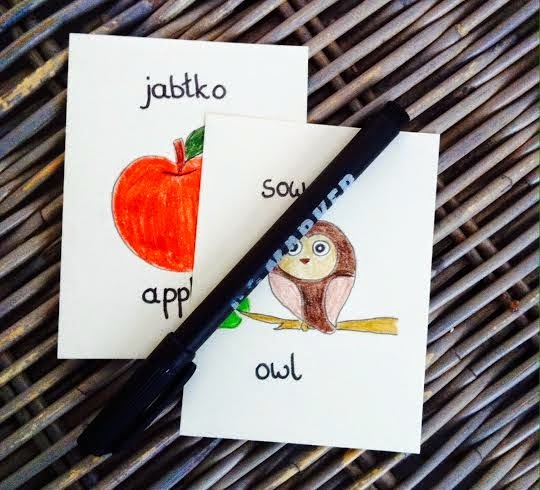 I know it would be much easier to buy them, but I wanted mine to be in two languages, because we speak polish and english at home. That's why I decided to make my own cards. 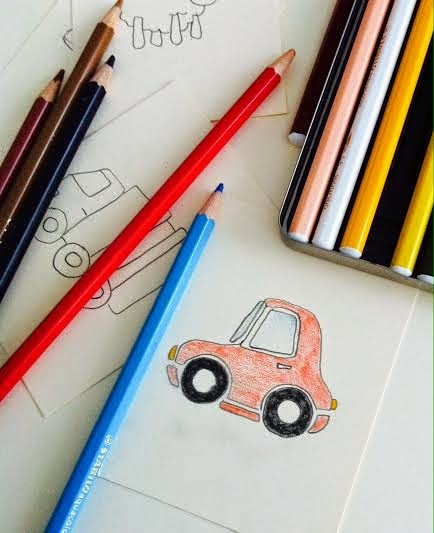 I think it is a very fun and simple project, especially if you like coloring like me!!! Lets get started!! 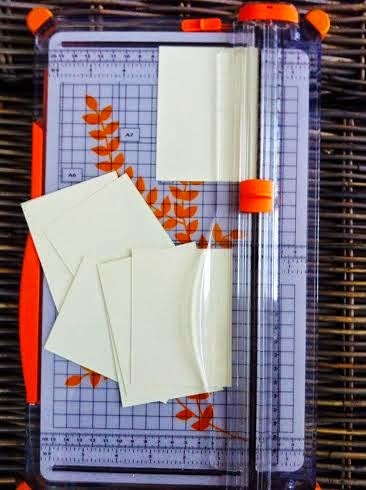 Cut the cardstock into 3x4 inches cards using a paper trimer (you can use scissors too). 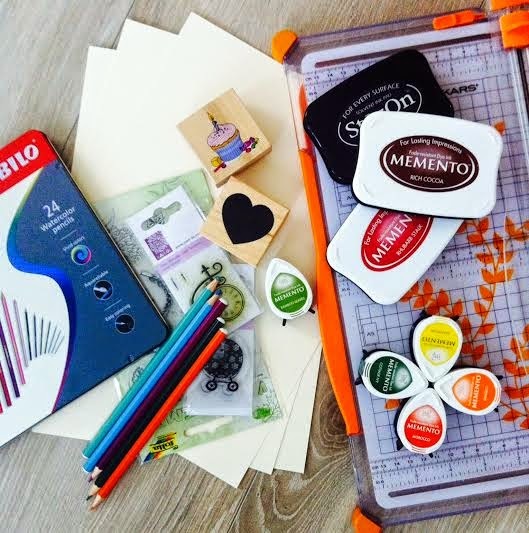 Stamp your images using your ink pads or draw them with a pencil and color them. Write your words with a black marker. I wrote in two languages. 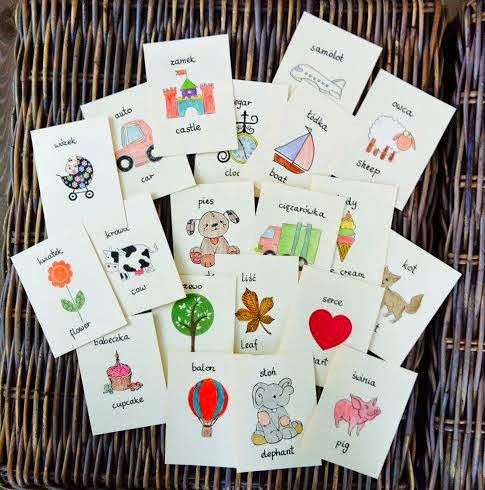 The last step is to laminate cards for protection. I laminated them at the print shop. Remember to round the corners of the laminat so that your baby wont hurt himself !!! (I used a corner punch to do that). 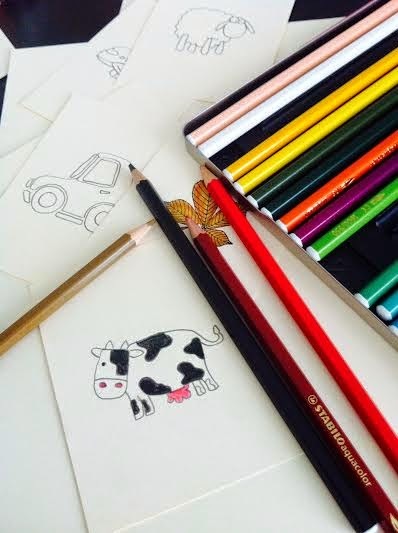 Punch the holes and put rings to make a little book. 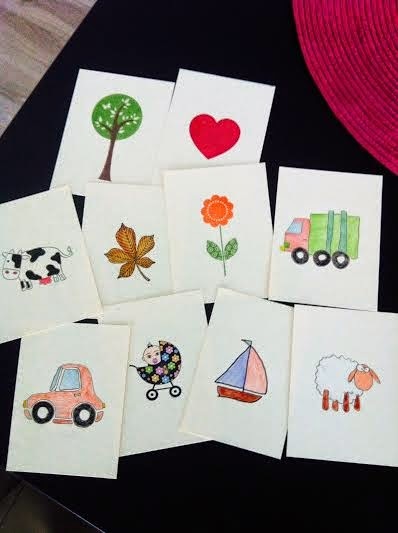 Hope you like my project:) Have fun making your own cards!